Public bathing areas of the Zurich Oberland. Enjoy a refreshing dip - surrounded by pure nature. Refresh yourself at one of our beautifully situated public outdoor pools. Your season pass to unlimited water fun. One pass for 13 outdoor pools and public baths at the Zurich Oberland. For CHF 90.– you will have free access to a whole range of refreshments. Several indoor pools welcome you warmly also in rainy or cold weather. On or under the Water. 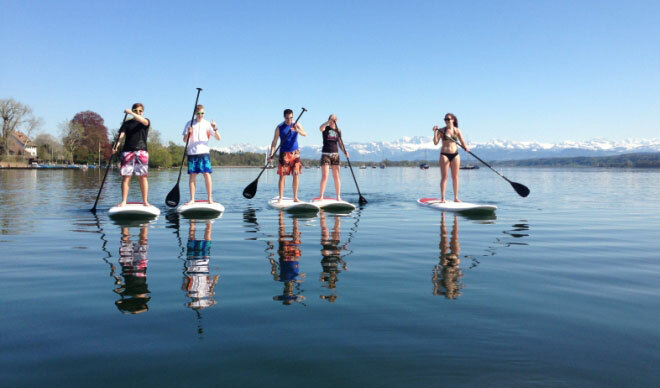 Sailing, paddling or taking a boat trip on the Greifensee, rowing on the Lake of Pfäffikon.